The world is moving to the cloud at blazing speeds to improve productivity inside and outside of the office. Clevir believes in virtual workspaces, not desktops. You should be able to work with what you have as well as all new applications and technology. Clevir delivers a workspace solution to bring all your apps (new and legacy) to the cloud (private and/or public). In that way end users have access to all these apps through their workspace portal at any time, any device and anywhere. The Clevir Cloudify Engine virtualizes almost any legacy application in a secure way and is more cost efficient than traditional terminal services or VDI infrastructures. It integrates with their Workspace portal to act as a broker between the end-user and the available desktops and applications. 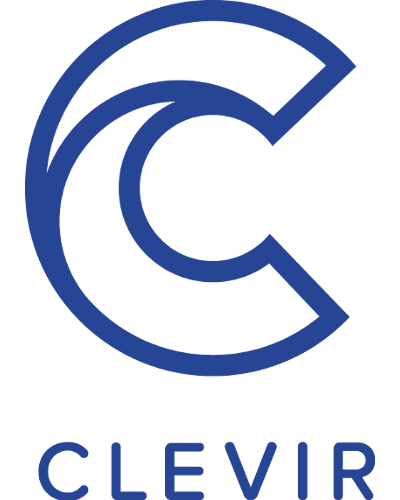 Clevir's Cloudify Engine includes deployment, brokering, desktop and RAM optimization as well as high-level integration with Microsoft, automated scheduling and extensive compliance. Virtualization module is standard; any other application virtualization tools can be added. The Clevir Workspace Portal offers a simple end user experience for hybrid cloud and on premise environments. Single sign on access to all applications from any device that supports browser based HTML5. The portal is easy to deploy, secure and highly configurable, enabling the hosting provider to offer many choices of how to deliver the user experience. Clevir allows users access to virtually any application on any device, at any time as well as central delivery, management and security of company assets across devices and user groups. No virtualization platform available? No problem, ClouddesQ provides virtualization as a service. You achieved significant savings through their on-demand spin-off VDI platform. ClouddesQ can virtualize 99% of legacy applications for you. Using the HTML 5 gateway linked to the Clevir Workspace or Launchpad 365, these legacy applications will be available as a published application in your browser. If you have your own platform, ClouddesQ can help you to offer legacy applications from your own platform. Launchpad 365 is an integrated add-on for Office 365 with the goal to provide the end-user with an intelligent work space that integrates and unlock all forms of functionality. The management of Launchpad 365 consists of an intuitive Plug & Play interface.